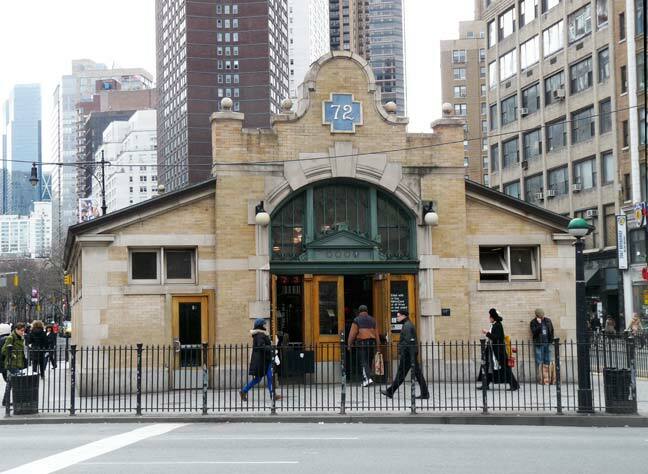 72 is my favorite temperature, and it’s also the number of my favorite subway station as well, the one with the distinctive Heins and LaFarge headhouse, built during the first wave of subway construction from 1900-1908, at the tripartite intersection of Amsterdam Avenue, Broadway and West 72nd. It was given a major upgrade in the early 2000s with, finally, a transfer made available from uptown to downtown (most other NYC express subway stations allow them) as well as a new glassy partner across west 72nd in Verdi Square. 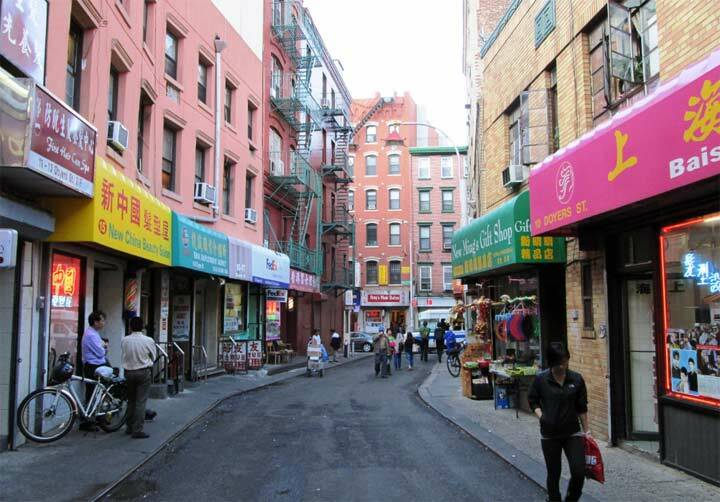 Other Heins & LaFarge headhouses can be found at Bowling Green and Atlantic Avenue in Brooklyn. Transfers between uptown and downtown at 72 St. were allowed in the 1960s, then the station was reconfigured in a way that prevented them. When the second entrance on the north side of 72 St. was built, the transfers were allowed again. This station is now wheelchair accessible with two elevators at the north end connecting the new headhouse to each platform. The platforms are still quite narrow, so be careful boarding and exiting here. Two other stations on the #1 line further uptown also had similar Heins & LaFarge headhouses in the Broadway median – 103rd and 116th Streets. Both were demolished in the late 1960s and replaced with conventional sidewalk stairs on either side of Broadway. They were considered a safety hazard because the structures prevented pedestrians from seeing southbound traffic on Broadway. I (and apparently many others) thought that the structure on the island on the north side of 96th St. at Broadway was also a station entrance, but the “men” and “women” signs above the doors belie that. There was also nothing in the wall structure of the platforms below prior to the rebuild which would suggest this. Finally, the station was opened in 1904, but the building does not appear in the 1924 NYC aerial photos. I’ll be getting off at this station on April 27 when I go to see Fantasia in concert at the nearby Beacon Theatre! Why do we care? Millions of people do that every year. It’s my favorite station; It’s my “Home” station.